Narcotics use is wreaking havoc in Russia, responsible for 30,000 annual deaths and 200 new HIV infections every day. But Vladimir Putin’s Kremlin is letting knee-jerk hostility toward the United States cloud its response to the drug-trafficking crisis. Not only is Russia reluctant to go along with a Washington-designed anti-trafficking blueprint, Moscow is believed to be leaning on Central Asian states not to cooperate either. 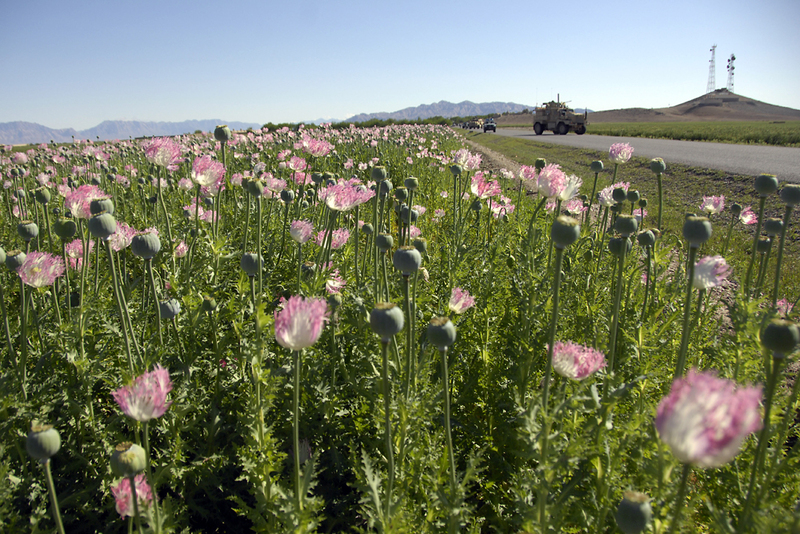 Back in July 2011, Washington unveiled its so-called Central Asia Counter-narcotics Initiative (CACI) to battle drug traffickers throughout the region and reduce the volume of drugs being exported out of Afghanistan. The plan would specifically promote the sharing of information, while striving to build up the capacity of indigenous Central Asian anti-drug agencies. For the past 18 months the initiative hasn’t been able to gain traction, although American officials insist the offer is still on the table and no country has refused to participate outright. Moscow quickly frowned on the plan, which would see the US Drug Enforcement Agency training counter-narcotics squads in all five Central Asian states. Analysts say the Kremlin has bullied Central Asian leaders into keeping their distance from the plan, thereby buying time for Russian officials to develop an alternative. The Kremlin’s obstinacy appears inimical to Russia’s best interests. For drugs transiting north from Afghanistan – the world’s largest producer of opium and heroin – via Tajikistan, Kyrgyzstan, and other Central Asian states, Russia remains the primary market. An estimated 90 percent of Russia’s roughly 8.8 million drug addicts are hooked on Afghan narcotics, according to the country’s anti-drug czar Viktor Ivanov. Heroin, Ivanov has said, is “as easy to buy as a Snickers” chocolate bar in Russia. Even though the addiction problem is a major element fueling Russia’s unprecedented demographic crisis, Moscow is unlikely to shift its position on participation in the US anti-narcotics plan, says Pavel Felgenhauer, a Moscow-based journalist and Kremlin-watcher. Such is the “souring atmosphere” toward Washington under the Putin administration, that “even low and mid-level cooperation on drug control and law enforcement is not going to be easy,” Felgenhauer said. Russian officials understand Putin’s antagonistic rhetoric as a signal not to engage with their American counterparts, he added. In late January, hopes for American-Russian collaboration on counter-narcotics programs took a significant step backward when Russian Premier Dmitry Medvedev signed an order cancelling an agreement that had been in place since 2002. Under that pact, Washington had been assisting Russian drug control and law enforcement programs. Russian embassies in Bishkek and Dushanbe refused EurasiaNet.org’s requests for comment. The CACI program has taken a beating in the Russian press, with some outlets portraying it as an after-thought designed more to ensure a lasting American footprint in Central Asia than to make substantive progress in reducing the flow of drugs out of Afghanistan and through the region. Citing the fact that US forces have been in Afghanistan for over 11 years, Russian media also have depicted the development of a US anti-drug plan only in 2011 as too little, too late. Cornell maintains that Washington’s anti-drug efforts require “broader diplomatic relations with the governments of these countries. The United States has made almost no indication of what its plans for the region are after 2014.” Without deeper and sustained bilateral ties with regional governments, “a poorly-funded drug program can’t stand on its own two legs,” he said. Complicating Washington’s CACI challenges, the Central Asian response has been ambivalent, or even hostile, according to local media reports. Citing anonymous sources in the Kyrgyz government, a January 17 article in the Vechernii Bishkek newspaper claimed Kyrgyzstan “maintains more than a cold position” regarding the initiative, a position the paper claims is shared by Turkmenistan. One thing that the CACI plan doesn’t seem to take enough into account is widespread official corruption in Central Asia. Russia, according to Zelichenko at the Central Asian Center on Drug Policy, has exploited the information-sharing provision in the CACI plan to engage in fear-mongering among Central Asian officials. “Russia started to politicize it, expressing concerns about interference in domestic affairs, and the possibility of sensitive information leaks,” Zelichenko said.